Last week, when Oculus’ officially unveiled its latest iteration of the Rift virtual reality headset, called the Oculus Rift S, many were wondering what may Oculus founder, Palmer Luckey, the man behind the Rift’s initial concept and its first prototypes, think about the company’s newest model. In a personal blog post, Luckey, who left Oculus back in 2017, says that while the “Rift S is very cool” and has a number of promising features that will make it overall a great headset, he did express concern over the removal of the original Rift’s mechanical interpupillary distance (IPD) adjustment, in favor of a software-based solution. The original Rift (CV1) featured a mechanical IPD adjustment system, which Luckey notes was designed to be compatible with the “5th and 95th percentile” of the population. Interpupillary distance, more commonly referred to as IPD, is the distance between your eyes. 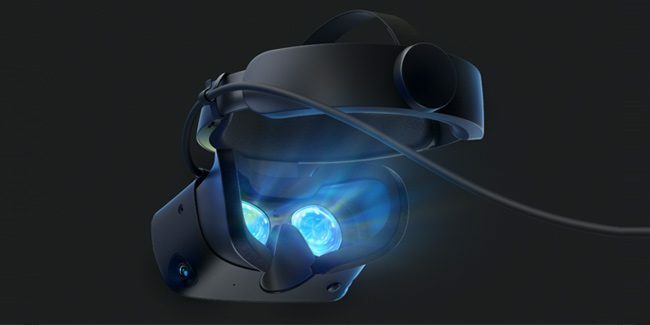 According to Luckey, the IPD adjustment mechanism on Rift CV1 covered anyone within the supported range of 58mm to 72mm to have a “perfect optical experience”. However, Luckey claims that since the Rift S—similar to Oculus Go—uses two lenses fixed at about 64mm apart, it will only be able to accommodate most people (roughly 70%), but not all—including him. “Everyone who fits Cinderella’s shoe will get a perfect experience, anyone close will deal with minor eyestrain problems that impact their perception of VR at a mostly subconscious level. Everyone else is screwed, including me,” Luckey said, noting that his own IPD is just under 70mm and is spaced out too far apart from the headset’s fixed 64mm sweet spot to be able to use it without experiencing some mild discomfort. “Imagery is hard to fuse, details are blurry, distortion is wrong, mismatched pupil swim screws up VOC [Vestibulo–Ocular reflex], and everything is at the wrong scale,” Luckey says. And although software IPD adjustments can help fix one part of the issue, it is not comparable to an actual IPD adjustment mechanism, he added. It should also be worth noting that even with a mechanical IPD adjustment, it’s not always perfect. Often times people do not set their own IPD adjustment properly, which can lead to similar IPD issues. The question then becomes, how does Oculus solve this problem in a way that could support everyone? Luckey goes on to detail some potential alternatives, but his “personal favorite” is an option for there to be custom-sized HMDs, which he believes is a good approach that will ultimately dominate the VR industry in the long run. Oculus believes that the Rift S with its enhanced features, such as improved pixel resolution and inside-out tracking capabilities is a step in the right direction and will hopefully be enough to satisfy the needs of most PC VR users until a true next-generation ‘Rift 2’ eventually comes out in the distant future. The Oculus Rift S is due to launch sometime this spring and will retail for $399.